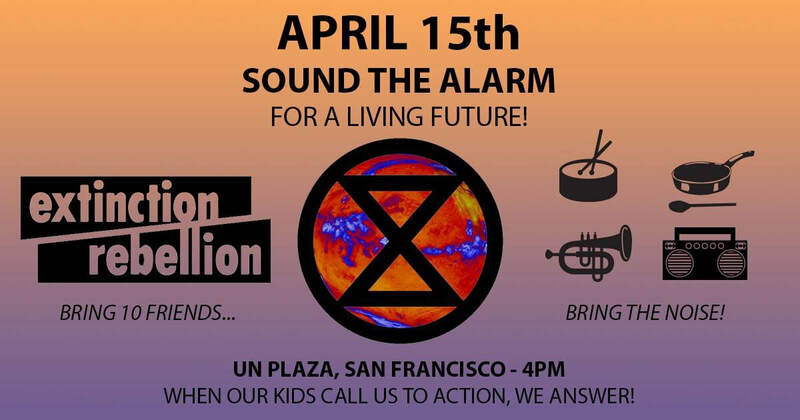 Extinction rebellion SF: Sound the Alarm for a living future! On March 15th, more than one million of our children marched worldwide to demand action on climate change. They told us we cannot carry on living as we have been living - and they are right. They told us we have to focus on what MUST be done rather than what is politically possible or there is no hope for them - and they are right. They told us we are stealing their future with every minute of our inaction - and they are right. On March 15th, one million children around the world told us we have less than 11 years to save them and all life from assured destruction this century... And our leaders told them to go back to school. Will you let that stand? We will not. Join Extinction Rebellion, and declare that when our children call us to action, we will answer! Join us on April 15th to rise up for a living future. We will not gather to beg our leaders to care. We will gather to declare that change is coming, whether our governments like it or not. This is an emergency and it's time we all started acting like it, adults included. So come out on April 15th as we raise our voices, our trumpets and cookware, bike bells, and boomboxes with the truth on our lips! to declare this emergency for what it is and to demand that our governments worldwide do the same. - As many additional people as possible. - There will be 2 trainings for this demonstration: MARCH 31st & APRIL 7th. These will be posted as separate events, please look out for them. Promise to Protect Tour is a campaign that launched out of 350.org whose focus is to train land defenders and water protectors in non-violent direct action trainings across nine different cities in the United States in preparation for a call to action to help stop the Keystone XL Pipeline. The Bay Area is included in this Promise to Protect tour and will be having two all day non-violent direct action trainings on April 13th and April 14th in Oakland. Each training will be facilitated and run by Lakota trainers and trainer supporters which include Harmony Lambert, Cy Wagoner, Joseph WhiteEyes and Robert Chanate. The days will be split up into different categories with Indigenous awareness about the Lakota culture and traditions, and “How we win”. The local organizers involved in this tour, from Stand.earth, are Isabella Zizi and Mary Zeiser. 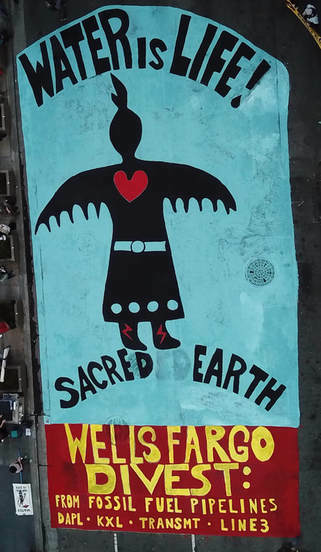 On the evening of April 13th they will be organizing an art build for the local struggle to stop fossil fuel projects like the Phillips 66 refineries wharf expansion proposed in Rodeo, CA. To join the art build RSVP here. People in San Francisco are pushing for a movement to divest our city taxpayer money from Wall Street and reinvest that money into permanently affordable housing, green energy infrastructure, schools and more. Roughly 40 people showed up last week in Crockett at a similar meeting. They told planning department staffers that the general plan absolutely needs to address the health and safety impacts of the dangerous refinery expansion we talked about at the March 7th Town hall on Phillips 66. 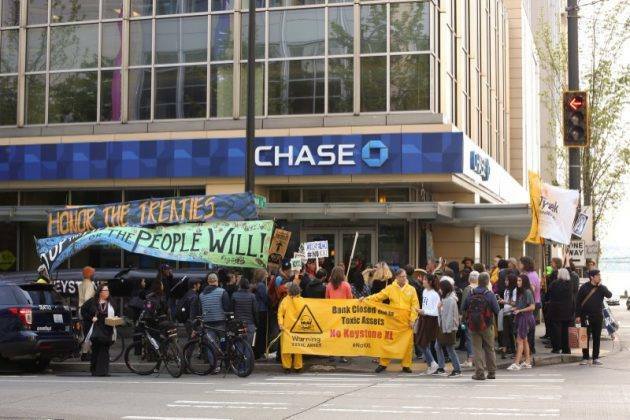 Let JP Morgan Chase know we are done with its lies and corrupt policies that even now, continue to intensely ramp funding of climate disaster for profit. We need to all do our part and stop letting our money be used by this dangerous corporation! JP Morgan Chase is the number one banker supporting ramping climate destruction on earth, representing 29% of all global fossil fuel funding. Read a coalition study here and RSVP. This training will take participants through the strategies and tools used in non-violent direct action. It will include a know your rights training.This training will be an important place to get plugged into for upcoming actions around the Extinction Rebellion Week of Action beginning on April 15th. See the oilywells.com website for all of the details. 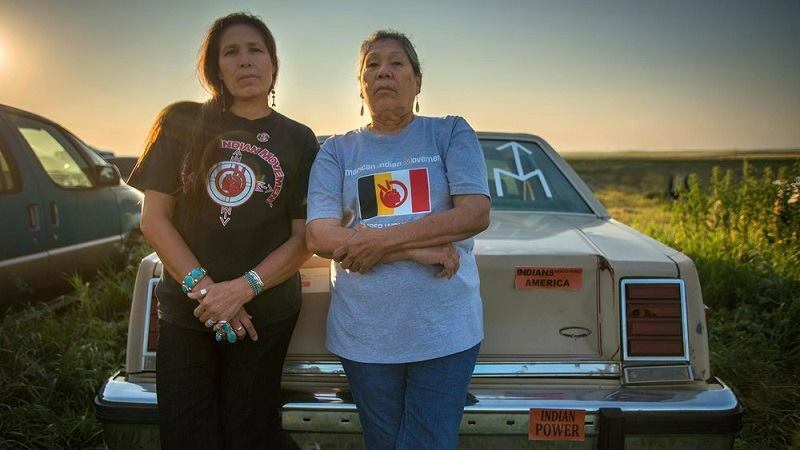 Film followed by Q&A and Reception with Madonna Thunder Hawk and 4 other Lakota Grandmothers. Warrior women is the story of Madonna Thunder Hawk, an early leader in the American Indian Movement (AIM) and veteran of the occupation of Alcatraz and her daughter Marcy who has been involved in the drive for Native Liberation since childhood. Madonna was part of the group that started the Sacred Stone Camp at Standing Rock and is a founder of the Lakota People’s Law Project. 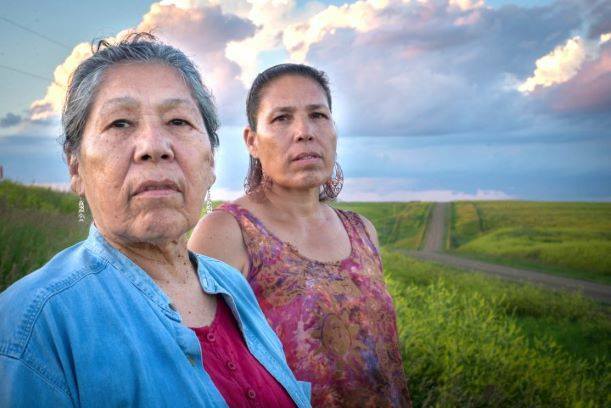 Both women are still in the forefront of indigenous issues and work with a group of Grandmothers on Cheyenne River Reservation. A Lakota Grandmothers’ current Climate Justice campaign is working for energy independence/decolonization on the Reservation. This includes weatherizing and adding solar to homes and reclaiming traditional farming practices. Madonna and a group of Lakota Grandmothers will be in the Bay area March 3-13 Organizing/Fundraising for “Greening” the Reservation. 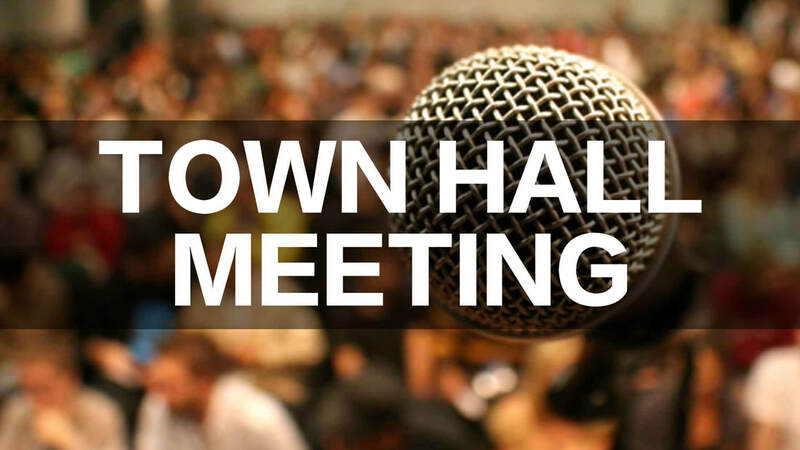 Refinery town residents and Bay Area allies are hosting a regional town hall in Rodeo on Thursday, March 7th, to address Phillips 66’s dangerous plans to expand tar sands refining at its Rodeo facility. Increased tar sands crude in the refinery slate means vastly increased tar sands oil tanker traffic in the Bay, an increased risk of spills that can’t be mitigated, and increased assaults on community health and the worsening climate. Oil industry mega-profits are being made at the expense of our well-being, but it doesn’t have to be this way. Come learn about the two linked P66 proposals and what we can do to stop them! Health professionals, expert scientists and community leaders will discuss threats to our climate and the health of surrounding communities already suffering from intense industrial pollution. Together we’ll explore solutions that will protect our health and safety, as well as Bay Area air and water quality. Come join us in Rodeo on March 7th! An interpreter will be provided, and food and beverages served. This event is sponsored by Rodeo Citizens Association, Crockett-Rodeo United to Defend the Environment, Fresh Air Vallejo, Idle No More SF Bay, Sunflower Alliance, 350 Bay Area, Communities for a Better Environment, and Stand.earth. Room capacity is 200, so seating may be limited. Please arrive early, and allow elders access to the front rows. This event is wheelchair accessible. Even if you arrive early, there is no guarantee you will be seated. Doors open promptly at 6:00pm. Posters, signs, outside food and drink, and large bags are not allowed inside the town hall. Aisles must be kept free. Questions, comments and concerns can be directed to Mary Zeiser, Extreme Oil Climate Campaigner at Stand.earth via email: mary@stand.earth . In the spirit of grief, love, and compassion, we will gather to honor Earth and to affirm our commitment to rebel nonviolently against government inaction on climate change. 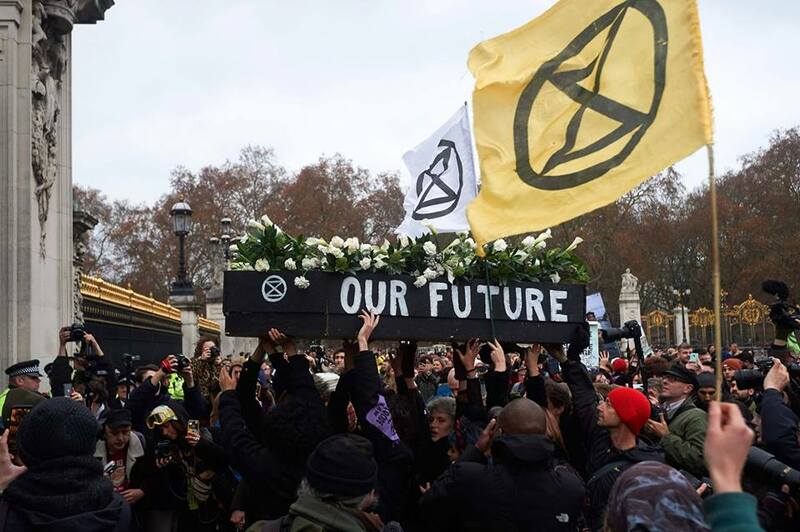 The gathering is the first step in a series of XR events this spring as we build up to International Rebellion Week in April. BRING A CANDLE: Please bring A CANDLE, one for each person coming. It may be windy, so we suggest a candle in a glass, or a taper candle with an improvised shield - we trust your ingenuity. GENERAL: This is an outdoor event, so layers, an umbrella and comfortable shoes, water and your own snacks. We gather rain and shine. KIDS: This is a kid friendly event, though there will not be specific programming for children. on Sunday, September 27, 2015 on Lenape Territory in New York City. You are invited to join us in this prayer from wherever you are on Mother Earth's belly. 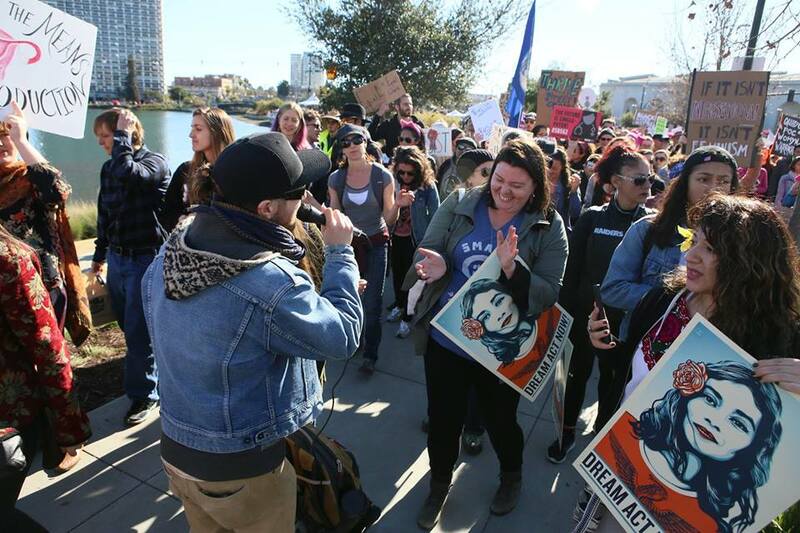 In the San Francisco Bay Area, we will be meeting on the shoreline of Berkeley, California at Cesar Chavez Park, right at the end of the road where the parking circle is, at the waterfront. Feel free to bring some water from your watershed or a favorite place to share with the waters of the bay. We will have prayers for the water and prayers for guidance as we work together as defenders and protectors of Mother Earth. The Native American Health Center and Urban Native Era are bringing together Indigenous Bay Area artists, designers, and entrepreneurs, for the first Indigenous Red Market in Oakland, CA. Join us every first Sunday of the month for native vendors, music, food, and more! A public bank is a bank owned by the public, created for the public good. Public banking is where many divestment efforts like prison divestment, fossil fuel divestment, and weapons divestment converge. RE-Investment via public banking has re-emerged as an avenue to fulfill to these calls for divestment while simultaneously taking back control of our own city's money. Here in San Francisco, people are pushing for a movement to divest our city taxpayer money from Wall Street, and reinvest that money into permanently affordable housing, green energy infrastructure, schools and more. ZERO financial background required to come learn how we can take $11 BILLION of SF taxpayer money Out of Wall Street and Into Our Streets! In August, several Bay Area Air Quality Management District Board (BAAQMD) staff members went to British Columbia and Alberta to see the tar sands extraction sites for themselves, and to visit with government officials and First Nations people resisting the Trans Mountain Pipeline. This meeting is the report back from the delegation. Speakers will include the BAAQMD delegation and some of the people the delegation met with in Canada: Charlene Aleck, elected Councilor from the Tsleil-Waututh Nation in British Columbia, Tzephorah Berman from Stand.earth, and Dave Collier, as well as Pennie Opal Plant from Idle No More SF Bay. Carbon trading mechanisms allow the fossil fuel industry to continue to emit carbon into the atmosphere, as well as devastate the health of communities living near extraction sites, infrastructure projects and refineries. Tropical forest offsets impact Indigenous people who have protected their living forests for thousands of years and have been shown to be ineffective & divide communities. The tropical forest offsets that the California Air Resources Board (CARB) are promoting are false solutions in light of the recent Intercontinental Panel of Climate Change (IPCC) report which indicates that to prevent climate catastrophe the world must decarbonize within 12 years. 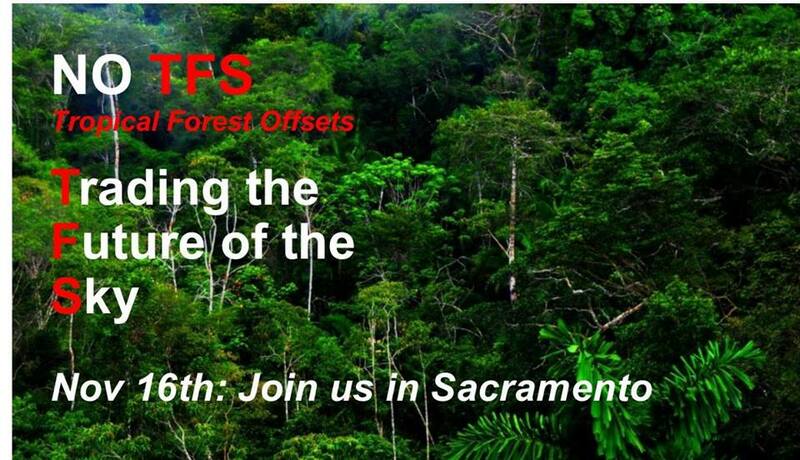 You are invited to join us at the CARB meeting on November 15th to say NO to the Tropical Forest Standard (TFS) for a rally at 8am. We will announce where this issue is on the agenda when it is posted on the CARB website. No More Refinery Expansions: Yes to Clean Air, Water & Soil! 7:00 PM - 9:00 PM with light snacks. Join Idle No More SF Bay with the support of Stand in a powerful discussion about how resistance to oil pipelines, oil tankers, and refinery expansions connects frontline communities in Canada and the US who are rising to stop climate change. Capacity: Space is limited to 75 seats. Reserved seats will be up front for elders, first come first serve. If you aren't able to make it, Stand.earth will be Facebook live streaming. Charlene’s ancestral name is Ts’simtelot and she is the daughter of the late Joe (Siyamelelexw) and Irene (Te-aktenaw) nee George, Aleck. She holds the Sacred Trust Initiative portfolio and works with the STI team to oppose the expansion of the Kinder Morgan pipeline and protect TWN lands and waters for future generations. Charlene is carrying on her family tradition as a member of the Children of Takaya dance group and has a great interest in reviving our Henqeminem language. Her goals for the future are to uphold the integrity of her ancestors in practicing cultural traditions; being a strong, clear voice with respect and dignity; providing leadership for our people to be represented at all levels; and empowering our youth to be successful. Cedar is 21 years old. He is a member of the Tsleil Waututh Nation and Tulalip Tribes from the Salish Sea. Recently his nation won a victory in the courts to stand up against Kinder Morgan to protect the Burrard Inlet. Cedar has been doing environmental work from an early age. Which sparked a strong determination in him to make a change and to stick up for the land and the people. From Paris to New Zealand, Cedar has travelled to help Indigenous and non-Indigenous groups stick up for the land and the people too. This also led him to working with United Nations and doing divestment work from the United States to Europe. Melinda Micco (Seminole/Creek/Choctaw) received her doctorate in Ethnic Studies at the University of California, Berkeley. Her research has focused on multiracial identity in American Indian and African American communities, primarily in the Seminole Nation of Oklahoma. She is the author of several articles on African Americans and American Indians. Her documentary about Native women Killing the 7th Generation: Reproductive Abuses against Indigenous Women has been shown in many areas, including the Bioneers Conference, Intertribal Friendship House, The Queer Women of Color Film Festival, and the University of California, Santa Barbara and Bay Area libraries. She is also working on a book Seminole Voices in Indian Country and a film on the Refinery Healing Walks with Chihiro Wimbush. She is a member of Idle No More SF Bay Solidarity Group that is dedicated to affirming treaty rights for First Nations peoples in Canada and American Indian peoples in the US. She is also a signer of the Indigenous Women of the Americas ‐ Defenders of Mother Earth Treaty Compact 2015 and supporter and defender of the Standing Rock Sioux camps in North Dakota. Shoshana is a founding mother of the Sunflower Alliance, a group dedicated to environmental justice and fossil fuel resistance in the Bay Area. She has contributed over the course of her lifetime to the messy, glorious and often frustrating collective project of remaking the world from the bottom up. John is a Contra Costa County Supervisor whose District includes the Richmond Chevron Refinery. He is also a Board Member of the Bay Air Quality Management District (BAAQMD). John recently returned from Alberta and British Columbia as a member of a fact finding delegation on the Kinder Morgan Trans Mountain Pipeline and the Alberta tar sands. Leading musicians, artists, thinkers, and policymakers, this concert will serve as a call to action, urging the international community to ramp up ambition towards a climate safe future for all. Line up includes: Patty Smith, Bob Weir, Eric Burden, Flea, Tenzin Choegyal, Bill McKibbon, Steven Sebring, Idle No More SF Bay's Pennie Opal Plant, and many others. Pro-fracking, pro-oil Governor Jerry Brown announced a Global Climate Action Summit in September 2018 in San Francisco. Sounds like a good opportunity to make our voice heard and make sure that the next Governor is willing to stand up to big oil! The Center for Public Integrity on "Big Oil’s grip on California"
This is the final opportunity to testify and demand that the Early Days statue is removed. The Arts Commission, the Historic Preservation Commission, the Human Rights Commission, and the Board of Supervisors all agree that this statue perpetuates a Manifest Injustice towards Native Americans. Help to remove monuments that glorify the oppression and genocide towards indigenous peoples. The Solidarity to Solutions Summit (#Sol2Sol Summit) will highlight frontline communities’ solutions that address the interlinked crises of climate, economic, and racial justice. Through cross-sector, solutionary strategy exchange, community leadership development, creative actions, and democratic popular assembly, we will provide direction on bold and transformative pathways for change and shift the narrative around false top-down marketdriven solutions and techno-fixes. Sol2Sol Week is taking place from September 8-14, 2018, parallel to the Global Climate Action Summit (GCAS), where California Governor Jerry Brown and global business leaders will push corporate schemes as their answer to climate change. At #Sol2Sol, we will illustrate how the most regenerative solutions to the climate crisis require not only decarbonization, but also strategies to decolonize, detoxify, demilitarize, de-gentrify and democratize our economies and our communities. 'Women's Assembly for Climate Justice: Women Leading Solutions on the Frontlines of Climate Change', will be an extraordinary gathering of women leaders from across the United States and around the world, joined in solidarity to speak out against environmental and social injustice, draw attention to root causes of the climate crisis, and present the diverse array of visions and strategies with which they are working to shape a healthy and equitable world. International advocates, grassroots, Indigenous, and frontline women leaders, and policy-makers, will discuss topics including the intersectionality of gender and environment; Indigenous rights; a just transition to renewable energy; women and forest protection and regeneration; fossil fuel resistance efforts; women and agro-ecology/soils; environmental racism; and women’s leadership and calls for action within a climate justice framework. This dynamic public Forum, organized by the Women’s Earth & Climate Action Network (WECAN) International, is to be presented the day before the Global Climate Action Summit (GCAS) in California. A list of collective key Calls to Action from the Women's Assembly for Climate Justice will be presented to the leadership of the GCAS the following day. This event is free, and is open to the public. RSVP encouraged but not required. Receive updates and invite friends and allies via the facebook event page. Full details also available via the WECAN International webpage. This will be the 37th Indigenous Women of the Americas Defending Mother Earth Treaty New Moon Ceremony since the signing of the treaty on September 27, 2015. The ceremony is led by signatories on the Treaty. Everyone is invited. 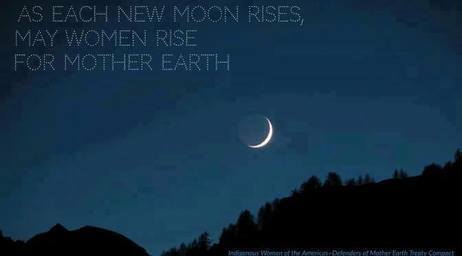 "We call upon our sisters and their allies around the world to gather together on each new moon to pray for the sacred system of life, guidance and wisdom." 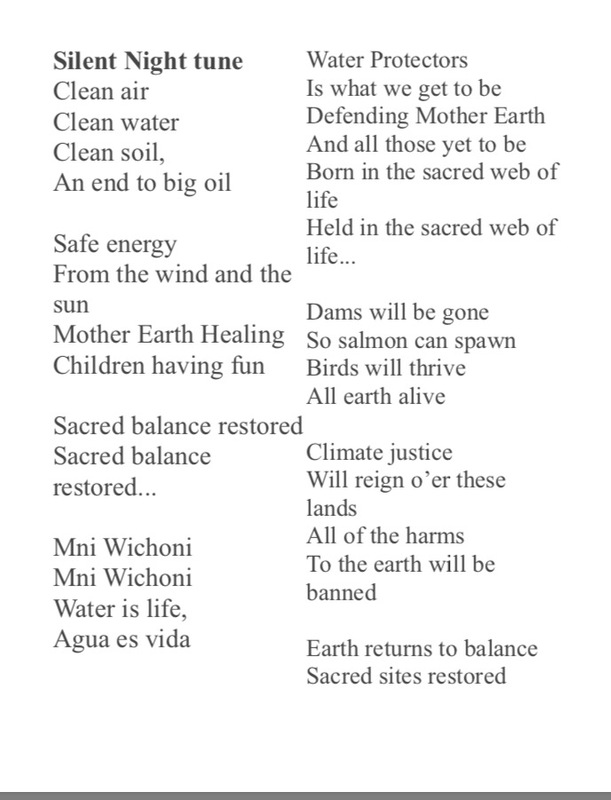 These words come from the historic Indigenous Women of the Americas - Defending Mother Earth Treaty Compact of 2015, which was signed on the day of the fourth Blood Moon, the Harvest Moon and the total eclipse on Sunday, September 27, 2015 on Lenape Territory in New York City. 2018 Dates: Mark Your Calendars! October, November, and December ceremonies are at Cesar Chavez Park in Berkeley. Please Join us at the Oldest Bay Area Sacred Site that we have been working on saving for the last 2.5 years. Come to lay down prayers, offer songs and learn about the struggle to protect this ancient burial/ceremonial and village site of the Lisjan/Ohlone people. We are asking our Indigenous Sisters and Brothers to add their prayers with ours to protect this sacred place. A direct action training will follow directly after the ceremony. There are many events happening during this week of Global Climate Action and we want everyone to be prepared in assisting in the work at hand here in the Bay and want you to take the lessons learned here back to their home communities. Join us for celebration after the Rise for Climate March! Diablo Rising Tide is holding a series of Non-Violent Direct Action Trainings. Each training will take participants through the strategies and tools used in non-violent direct action. It will include a a know your rights training. These trainings will be important places to get plugged into for upcoming street actions around the Global Climate Action Summit in September. Staff of the Bay Area Air Quality Management District—whose job it is to ensure healthy air and protect the climate—has just secretly approved a fundamental part of the massive San Francisco Refinery tar sands expansion project proposed by Phillips 66. 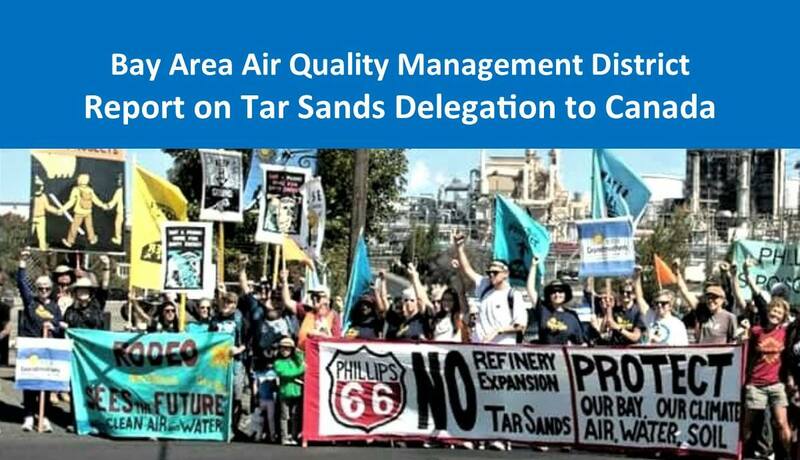 While the Chief Executive Officer/Air Pollution Control Officer, Jack Broadbent, was in Canada on a tar sands fact finding trip with Bay Area Air Quality Management District Board Members, staff issued the permit. Sound fishy? We think so too, and so should you. The administrative permit staff which issued the permit to P66 increases heavy gas oil hydrocracking at its San Francisco Refinery in Rodeo by 61.3 million gallons per year. This greater hydrocracking capacity will enable P66 to refine the increased quantities of tar sands oil it wants to bring in via nearly tripled tanker traffic across the San Francisco Bay. This project is directly related to the Kinder Morgan Trans Mountain pipeline project that our First Nations Relatives are resisting from Alberta to British Columbia. This alarming move comes almost exactly five years after the Air District passed a resolution condemning the KXL pipeline and warned against the more intensive processing required by tar sands oil, which causes enormous quantities of toxic, criteria and greenhouse gas pollutants to spew from refinery smokestacks. As that 2013 resolution made clear, ”any increase” of these pollutants will cause serious negative impacts on the health of local residents. Without this first level of permitting, P66’s proposed wharf expansion cannot go forward. Air District staff brandished its rubberstamp for the project on August 16, 2018, without any review by its own Board of Directors, or by the public. This is a reckless and dangerous shortcut. Join us—impacted community members, regional allies, environmental justice and climate protection groups, First Nations and local Indigenous supporters—to protest this dirty deal! The heavy-oil processing expansion the District has approved is an essential part of the refiner’s plan to switch its Rodeo refinery over to imported Canadian tar sands oil. This is a project Phillips 66 has touted to investors, tried to lock in using oil trains, and now seeks to advance by expanding oil imports over its Rodeo Wharf. Tar sands bitumen is the most carbon-intensive, hazardous, and polluting major oil resource on the planet to extract, transport, and refine. This project alone could increase by a factor of 35 times the total volume of Canadian tar sands oil that all refiners in the region import across San Francisco Bay and refine. But the bad news doesn’t stop here. The Air District’s secret permit approval also directly attacks one of California’s greatest environmental regulatory protections. The Air District is now intentionally evading mitigation, evaluation, or even disclosure of the climate impacts from refinery projects under the California Environmental Quality Act (CEQA) because of the state’s cap-and-trade program. It’s citing California’s climate pollution-trading scheme as its primary alibi for refusing to protect our climate from oil pollution. 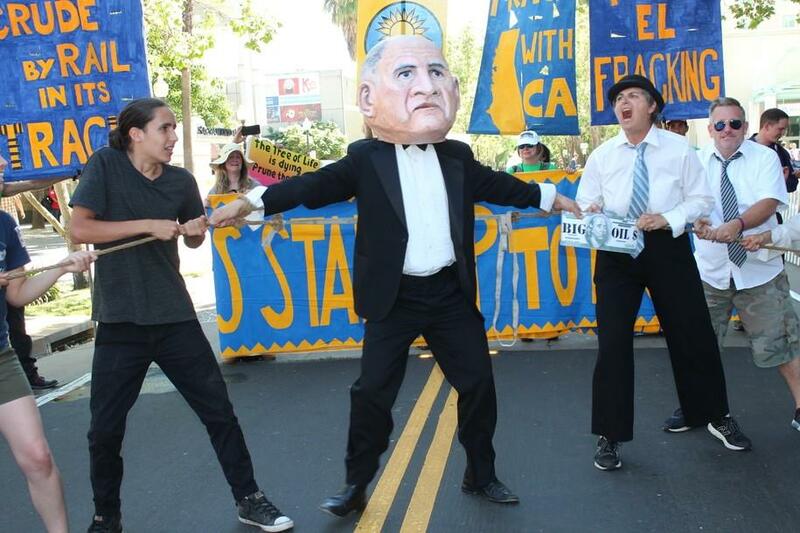 When he was Attorney General, Governor Brown actually championed demands to disclose and mitigate under CEQA the climate impacts from oil projects at the Rodeo and other refineries. As Governor, however, Brown has supported cap and trade, which allows the exchange of money for permits to pollute and now, as of the passage of AB 398 last summer, actually prohibits the direct regulation of carbon dioxide pollution at the emissions source. 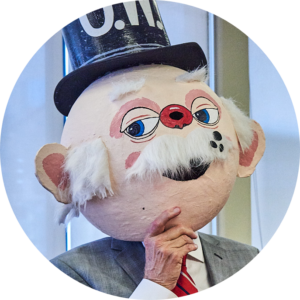 He has been silent about the Air District’s attack on the CEQA disclosure he once championed. No more climate cowardice! 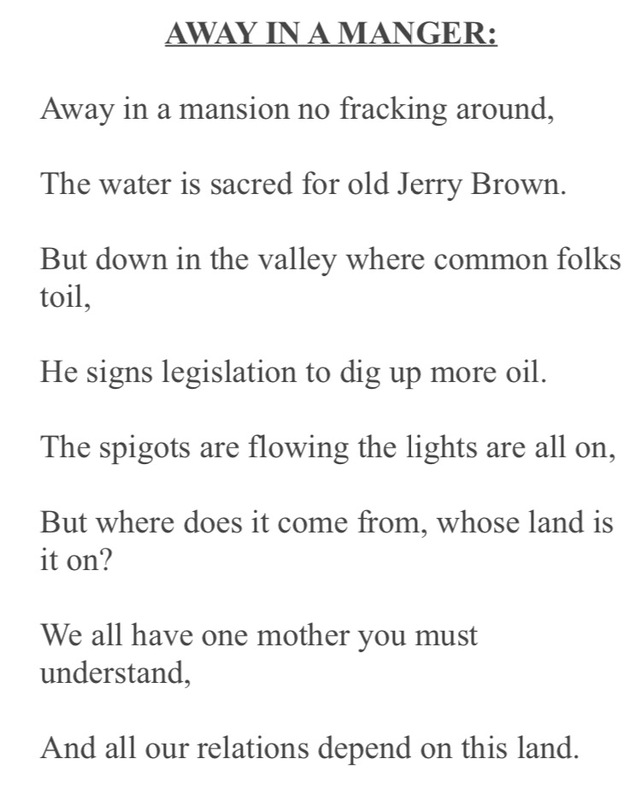 No more abandonment of refinery communities! Join us on Wednesday, September 5th! - Thanks to our allies at the Sunflower Alliance for most of the information! Check them out here. 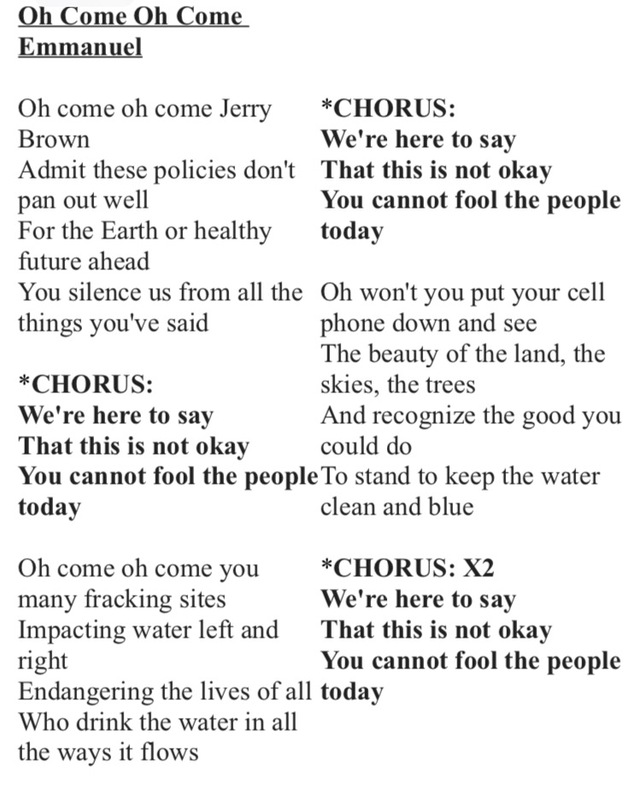 Join the Thrive Street Choir (Oakland) and the Peace Poets (Brooklyn) for a dynamic song leading workshop, a week before RISE for Climate Jobs & Justice 9/8. The Peace Poets are LEGENDS, coming to Oakland for a short time and will grace us with a performance and workshop! 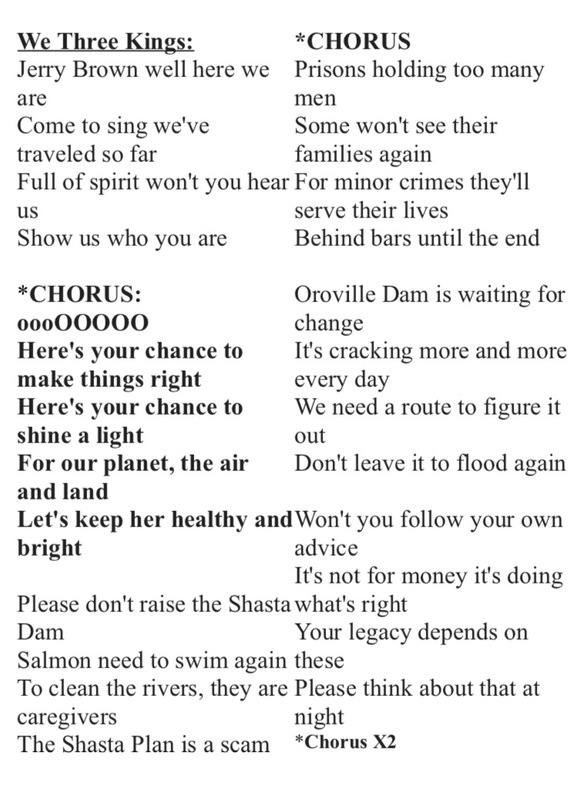 We will gearing up for a 50k person Choral Flashmob, the largest singing climate mobilization in history! Come learn and practice the movement songs that we will be singing together in the streets of San Francisco (in harmony!). 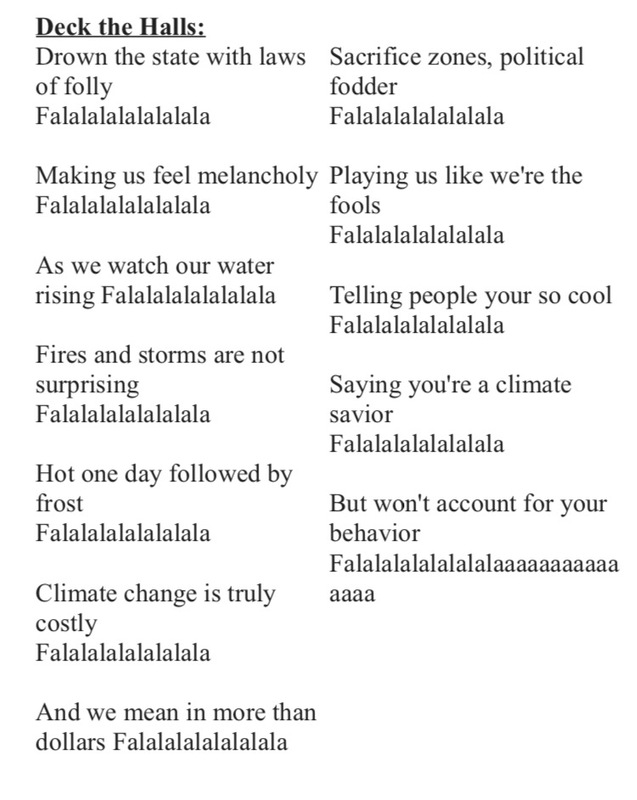 We will be teaching techniques for being an effective song leader for this mobilization and beyond, and teaching some legendary and fresh new funky songs for (climate) justice - our present day movements need more songs! Climate Change, False Solutions & Indigenous Rise! Afterward there will be events and actions demanding real solutions to the climate crisis. This is all in response to the Global Climate Action Summit in San Francisco Sept 12-14, where Gov. Jerry Brown, UN Officials and World Leaders will meet to discuss the climate crisis. California Indians will lead the march followed by the Indigenous Bloc. Join us to learn what’s happening and why, and what you can do about it! 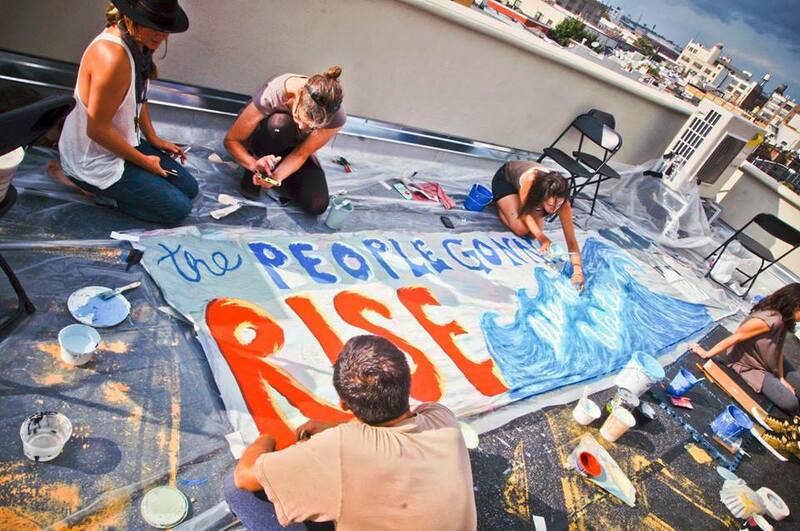 Join the Sierra Club at their Annual Chapter Picnic for a day of t-shirt decorating, cape making, and umbrella upcycling for the RISE for Climate, Jobs & Justice march on September 8th. They will provide t-shirts and decorating supplies for you to create messages and designs to wear while you march for the transition to 100% clean energy! It’ll be a fun and creative space to brainstorm witty slogans and powerful messages to showcase on the big day. They will provide art making materials but feel free to be resourceful and bring any materials you’d like to incorporate! There will be non-violent direct action training on August 18th from 130pm-5pm at the Omni Commons in Oakland, CA. This training will take participants through the strategies and tools used in non-violent direct action. It will include a know your rights training.This training will be an important place to get plugged into for upcoming street actions around the Global Climate Action Summit in September. Are you a woman of "grandmother" age? Are you excited about the climate justice movement, the immigrant movement, peace/disarmament and other social justice and environmental movements? Would you like to be of service in ensuring the streets are safe during actions and speaking to law enforcement from the grandmother perspective? Then this training is for you. Pennie Opal Plant has been ensuring safe streets and creating good relationships with law enforcement for many years. She will be offering what she has learned in keeping people safe during nonviolent direct actions, as well as how to speak with law enforcement in maintaining the peace. Attendees will be messaged the address when they RSVP. 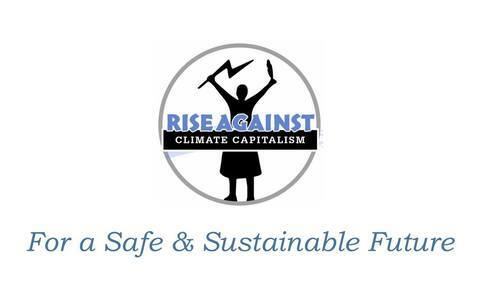 Pennie's goal is to train 40 grandmother age women to take the lead on street safety and police liaison during the Sept 8th Rise for Climate, Jobs and Justice march in San Francisco. At the end of the march there will be 50+ street murals being painted around the Civic Center. Women who commit to keeping the streets safe will take the lead in keeping the streets closed during the mural painting from 9am to when the murals are completed, probably between 2pm and 3pm. It is ok to bring a chair and take breaks. Join the APEN, California Allegory Youth Fellowship, CEJA, Idle No More SF Bay, Jobs With Justice, North Bay Organizing Project, PODER, SEIU 1021, 350.org and over 50 other organizations at a mass meeting on June 25th. We are organizing to build the largest march for climate, jobs and justice on the West Coast! Everyone is invited to ensure that everyone is represented as we build a bold, visionary action that will channel power to the people through the Rise for Climate Jobs & Justice March. 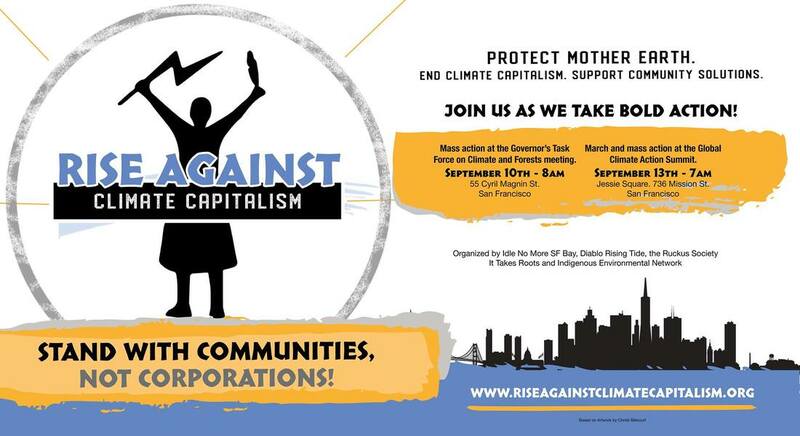 On Saturday, September 8th, the largest mobilization for climate, jobs, and justice on the West Coast will grace the streets of San Francisco. This action will not be your ordinary march - we will shift power to demand real climate leadership that protects vulnerable communities, workers, and future generations; keep fossil fuels in the ground; develop a just, equitable, resilient 100% renewable energy economy that rapidly expands economic opportunity; and create family sustaining jobs for a thriving society that does not sacrifice any community around the world. 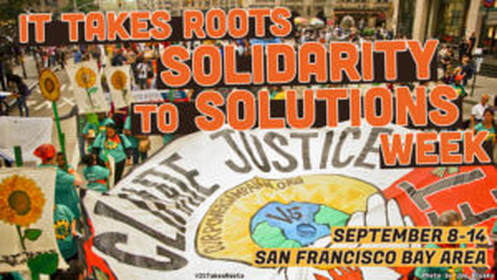 The whole world is coming to San Francisco for the Global Climate Summit from Sep 12-14. Because of this, it is important that we show up not only for our state, but in solidarity with all those impacted by the climate crisis internationally. We know that the environmental, economic, and social issues we see day-to-day are very interconnected. On June 25th, we are inviting you, your organizations, your friends, and your family to rise up with the world on September 8th to demand real solutions. This is the second community grassroots organizing meeting. We will be updating everyone on the working groups progress and then breaking down into those groups giving opportunity to plug in and network for those who are just joining us as well! Join communities of all identities, spanning interracial, indigenous, faith, labor, environmental groups, youth and elders, and many more as we look forward to creating a world of equity, justice, and a sustainable and safe future for the next seven generations to come. It's up to us. The story of a better future is unfolding as we make it possible. Are you part of this story? 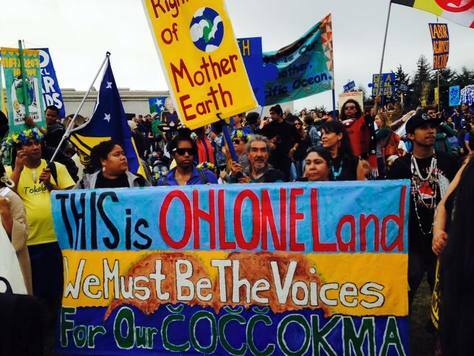 Join Ohlone leader, Corrina Gould, and signatories on the Indigenous Women of the Americas Defending Mother Earth Treaty for Summer Solstice prayers and a Teach-In of upcoming actions to protect and defend Mother Earth and the sacred system of life! We will begin with prayers led by Corrina Gould on the West Berkeley Shellmound which is still at risk of being harmed. She will also share information about the Run 4 Salmon taking place in September. Treaty sisters and members of Idle No More SF Bay will lead a teach-in on the Phillips 66 refinery permitting process to bring 90 to 123 oil tankers filled with tar sands into the San Francisco Bay and the Global Climate Action Summit, the Rise for Climate, Jobs & Justice March, and the It Takes Roots Solidarity to Solutions week of actions in San Francisco in September. Thousands of people from around the world will be in San Francisco this September! We are planning exciting events and actions to show them all what real climate leadership is and how much we love our Mother the Earth. Feel free to bring a blanket or chair to sit on! Protect the American Indian Freedom of Religion Act! The Oakland Planning Dept Staff has been making it very difficult for a sweat lodge to be conducted at the Nafsi ya Jamii center. This is a violation of the American Indian Freedom of Religion Act. On July 19, 2017, the Planning Commission approved our appeal, unanimously overturning the staff’s denial of the permit. They directed the staff to bring findings for approval, so that the Commission could have a final vote. To date, staff has refused to comply, instead creating one burden after another for to overcome before they will bring it back to the Commission. On Wed. June 6th, a small group of us went before the Commission asking to be put back on their agenda. Staff response was to send us another letter, with even MORE requirements for us to fulfill. We are preparing a law suit. In the meantime, a few of the Commissioners have indicated their strong support for us. Please join us on June 20th to insist that this issue is put Our Haudenosaunee Treaty sister, Patricia St. Onge, and her family operate a cultural/urban farm/ceremony center on their land in Oakland, California called Nafsi ya Jamii. For six years, the community at Nafsi ya Jamii, has been living into a beautiful vision of living according to our Original Instructions. Sweat lodge ceremonies were being conducted there until neighbors complained and the City told them to stop. This is a violation of the American Indian Religious Freedom Act of 1978 (Yes, it was illegal for Native Americans to practice our religions until then). Because a few neighbors complained, the City told them that the ceremonies must stop. They have done their best to work with the City to asserts their rights, but it has postponed making a decision for almost 2 1/2 years! We must pressure the decision makers to make the correct decision. We have a constitutional right to pray and practice our life ways; it's time for public action. 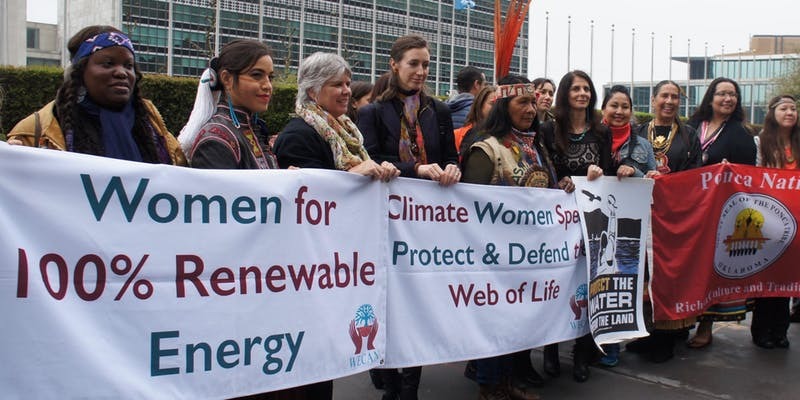 Join us for 'Rights of Nature: Protecting and Defending the Places We Live' - part of this year's series of free, online WECAN Education and Advocacy Trainings for Women for Climate Justice! During this training we will explore the paradigm-shifting work of Rights of Nature, and explain how this transformative legal framework is already being used around the world to challenge legal systems based on dominion over and exploitation of the Earth, and instead usher in a legal, social, political and economic framework based upon the inherent rights and natural laws of the Earth’s living systems. We will delve into examples of how U.S. and international communities are successfully enacting local Rights of Nature legislation as a tool to protect ecosystems, their communities and just climate solutions. Presenters will also share stories of the growing global movement for the Rights of Nature and the dynamic Rights of Nature Tribunals that have been held in countries worldwide. Speakers include: Shannon Biggs (Co-Director of Movement Rights) and Osprey Orielle Lake (Executive Director of WECAN International). WHERE & HOW: This training is free and open to all. All WECAN trainings and international organizing calls are hosted on Zoom, a program similar to Skype. To join, please use the instructions below to dial in by phone, or download the free Zoom application and join via internet. OPTION B. OR join by phone: +1 408 638 0968 (US Toll) or +1 646 558 8656 (US Toll) Enter the Meeting ID: 415 415 2016 ** If you are calling from outside the U.S. - click to find your international dial-in numbers. We encourage and welcome participants from all regions and all levels of experience to join us. If you can connect via computer, that is preferable. 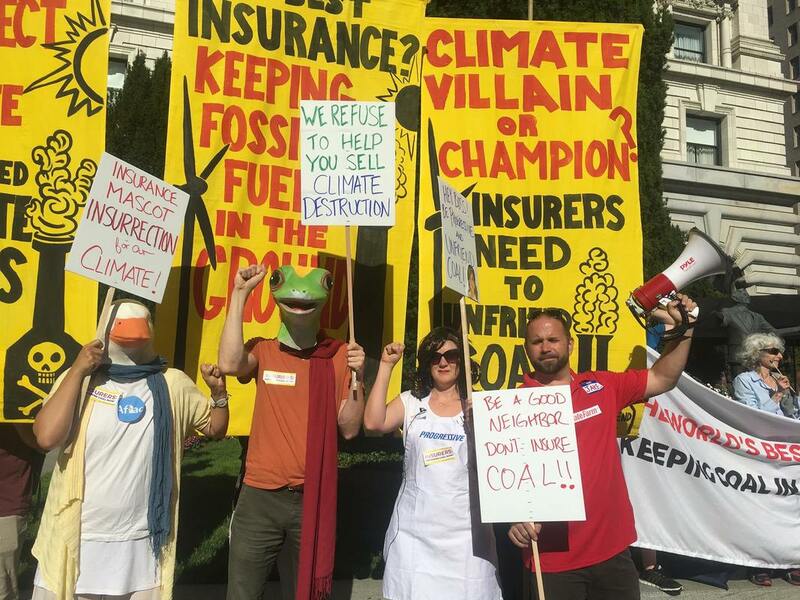 Rise for Climate Jobs & Justice! Join APEN, CEJA, Idle No More SF Bay, Jobs With Justice, North Bay Organizing Project, PODER, SEIU 1021, 350.org and over 50 other organizations at a meeting on May 22. We are organizing to ensure that everyone is represented as we build a bold, visionary action that demands real climate leadership that protects vulnerable communities, workers, and future generations: keep fossil fuels in the ground; develop a just, equitable, resilient 100% renewable energy economy that rapidly expands economic opportunity; create family sustaining jobs: Rise for Climate Jobs & Justice March on Saturday September 8th. The whole world is coming to San Francisco for the Global Climate Summit from Sep 12-14. Climate disruption is impacting all of our communities from jobs to justice and everything in between. And we want you, your organizations, friends, and family to rise up with the world on September 8th to demand real solutions. You are invited to come to a meeting to build the movement leading up to the largest march for climate jobs & justice on the West Coast. There's lots to do and your talents and gifts are welcomed! Join your sisters and brothers as we look forward to creating a world of equity, justice, and a sustainable and safe future for the next seven generations to come. It's up to us. This will be a powerful day you won't want to miss. Come together as a community to organize and mobilize our people power to impact the change we want to see in our community. California’s oil and gas production is harming communities from the Ecuadorian Amazon to Richmond, California. Gloria and Manari Ushigua, Sapara indigenous leaders from the Ecuadorian Amazon, will join Bay Area allies to expose the impacts that the fossil fuel economy causes to people and planet. These powerful leaders will share their stories resisting oil extraction in Ecuador and California, and call on California to be a real climate leader by phasing out oil and gas production in the state, including its importation of Amazon crude oil. We will gather outside of the Richmond Chevron refinery, one of the state’s biggest polluters, to highlight that company’s toxic legacy in Ecuador and its role in causing ongoing destruction from the Amazon to California. NO TAR SANDS IN OUR BAY! The Bay Area Air Quality Management District has issued a permit to the Phillips 66 Refinery for the Refinery Expansion Project. This is the first part of a project leading toward the refinery processing more Alberta tar sands and allowing an additional 93+ oil tankers a year filled with tar sands (also called oil sands or dilbit) into the Bay. This permit is the subject of an appeal filed by Communities for a Better Environment, San Francisco Baykeeper, Center for Biological Diversity, Friends of the Earth, Stand.Earth, and the Sierra Club. This project is directly related to the Kinder Morgan pipeline in Canada which our First Nations relatives & allies are resisting. Over 10,000 People protested the proposed Kinder Morgan Pipeline on March 10th and protests and arrests are ongoing. March 10th article here. More information here. This would be a disaster in our beautiful bay. Join your Indigenous water protectors and land defenders to protect and defend the Bay! Tar sands are impossible to completely clean up when accidents occur. Native Gathering for Indigenous Peoples' Day! After over a year of negotiations, the Sacramento Coalition for Indigenous Peoples' Day has achieved getting the Sacramento City Council to put Indigenous Peoples' Day, as October 12th, on the agenda for a vote. If you're interested in volunteering, holding an indigenous ceremony/prayer and/or performance, email us at thedecolonizationproject@gmail.com. ALERT: The campaign to #SaveTheShellmound is escalating, and your support is needed now. Ohlone families are maintaining their resolve to defend the West Berkeley Shellmound burial ground and sacred site. But cynical developers looking to buy and build on this priceless land are now trying to use a new law, SB35, to expedite approval in 90 days — under the guise of affordable ($80k/yr income) housing. "Blake Griggs plans to construct a 260-unit apartment complex, half of which would be affordable to households earning 80 percent of area median income, which is $80,400 for a family of four." Blake Griggs Properties needs to understand that their divide-and-conquer tactics will not work. Community is asked now to send a strong, clear message that this land is SACRED and off-limits for their development. We will not allow Griggs to commit this crime of desecration, explicitly violating the stated wishes of the Ohlone people. ***Please come out on the Equinox,*** joining Ohlone leader Corrina Gould and others, to gather in the parking lot on this small part of the larger shellmound. Now is the time to grow this prayerful movement that is 100% determined to do what is right. 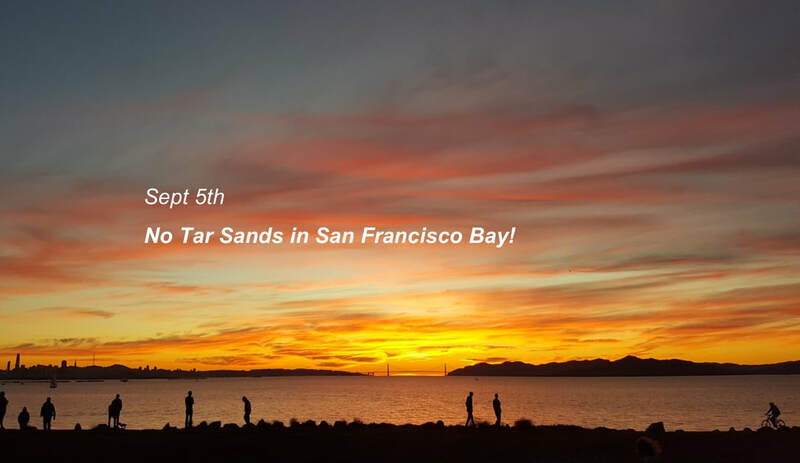 Protect the Water - Join Idle No More SF Bay to say NO TAR SANDS IN OUR BAY! The Bay Area Air Quality Management District has issued a permit to the Phillips 66 Refinery for the Refinery Expansion Project. This is the first part of a project leading the refinery to process more Alberta tar sands and bring in over 93 oil tankers a year filled with tar sands (also called oil sands or dilbit). Tar sands are impossible to completely clean up when accidents occur. Join Idle No More SF Bay and Indigenous Environmental Network as we paint a giant image and sing and pray and demand that Wells Fargo divest from fossil fuels, fossil fuel infrastructure, and projects that threaten the sacred system of life and violate the rights of Indigenous Peoples to free, prior and informed consent. We will also send a message that their grant announcement to give $50 million to Native American communities shows their hypocrisy. It is an attempt to green wash their record. They recently agreed to extend $1.5 billion in credit to the Canadian oil corporation, TransCanada, to build the Keystone XL pipeline. We are honored to have Joseph White Eyes, Joye Braun, Karen Little Wounded, Mabel Ann Eagle Hunter and Madonna Thunder Hawk join us as special guests from the Cheyenne River Sioux Tribe. Join Idle No More SF Bay and the youth program at the San Francisco Native American Health Center as we warm heartedly welcome Cheyenne River Water Protectors Joye Braun, Madonna Thunder Hawk, Mabel Ann, Karen Little Wounded and Joseph White Eyes to the Bay Area! We will have a beautiful line up of questions and a report back about previous actions that they have organized or been part of around divestment from banks like US Bank and Wells Fargo. There will be time at the end for Q & A. **There is limited seating space of 30 to view for the panel. Don't feel discouraged though! There will be a live stream on a projector just downstairs for up to 60 people. Refreshments will be provided. You are more than welcome to bring a potluck style dish to this event. Join us for this fun evening of very creative Christmas caroling, signing some special Christmas cards, and learning more about what we all want for Christmas. 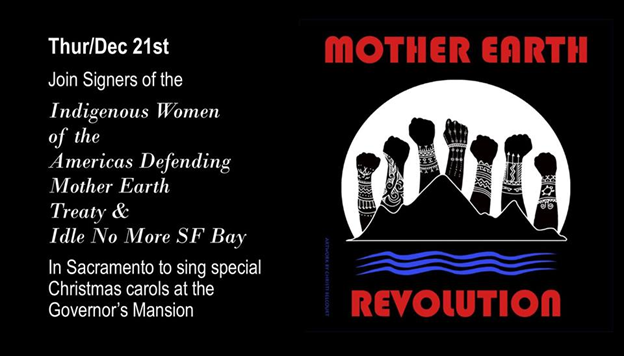 The Indigenous Women of the Americas Defending Mother Earth Treaty signers and members of Idle No More SF Bay invite you to join us at Governor Jerry Brown's house in Sacramento for this special event on the Winter Solstice. A carpool link is below and lyrics to the songs will be posted soon so you can all practice together on the way. We stand for clean air, water, soil and a vibrantly healthy future for coming generations. Unfortunately, our Governor has colluded with the fossil fuel industry in writing AB398 and has accepted millions of dollars in campaign contributions from Big Oil. He is also in favor of fracking, has allowed hundreds of aquifers to be poisoned with fracking fluid and is commodifying the very air we breathe with the Cap and Trade carbon shell game which allows toxic corporations to continue polluting communities by buying carbon credits. Please feel free to bring your friends and family, musical instruments (bells would be great! ), and candles to keep our spirits bright.